Fifteen years ago, I reclined in the same green couch I'm sitting in now, resting and reflecting as I watched the world go by outside a southern window. I was no longer allowed to walk the dog or swim a mile or grocery shop. I wasn't allowed to go outside. Michael and I had stopped attending our hypnobirthing classes, stopped practicing our script, and I had stopped showing up for my prenatal yoga classes. I and the baby in my belly, who rarely and barely moved, and who still had six to eight weeks to develop, simply had to sit and wait it out. "This is something you need to worry about." The discovery had led us to Boston where within one twenty-four-hour visit I underwent numerous additional sonograms, a CAT-scan, several blood tests, one fetal MRI, and a five-hour IVIG, otherwise known as intravenous immunoglobulin. All of this was because of an opinion held by bunch of pediatric neurologists, radiologists and neonatologists who thought they had found evidence of intraventricular and subdural brain bleeds leading to a blocked fistula. This blockage, they hypothesized, caused a backup of cerebral spinal fluid and the ballooning of our baby's lateral ventricles which in turn damaged the surrounding white matter. Their causal theory for the bleeds, based on a false-positive blood test result, was that there was a platelet incompatibility between me and Michael triggering my antibodies to attack my fetus' platelets. 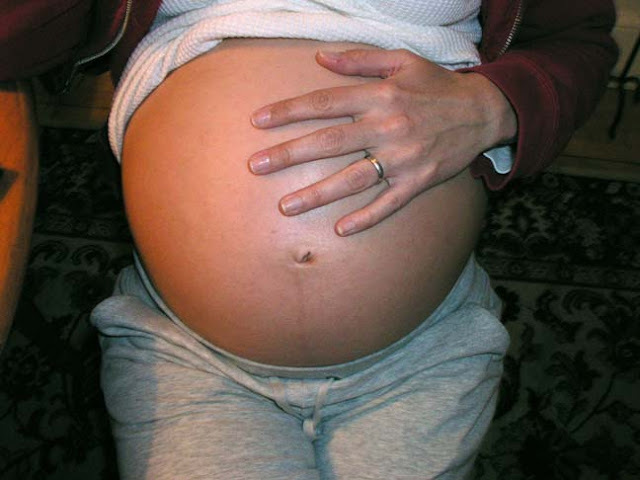 The consensus was a scheduled, thirty-five-week cesarean at Boston's Children's Hospital meant to avoid further trauma and injury which a vaginal birth might cause. After the bombshell, I remember being exhausted, anxious and afraid. I don't remember being brave. I imagine Michael felt the same. So we sat tight in the frigid winter weather, wondering if our baby would be okay, wondering if he'd ever crawl or walk or talk or, as one neurologist told us was possible, might be completely normal. I remember wondering, after such an uneventful and healthy pregnancy, why it turned out this way. I still wonder to this day. Oh, Christy. This is heartbreaking.